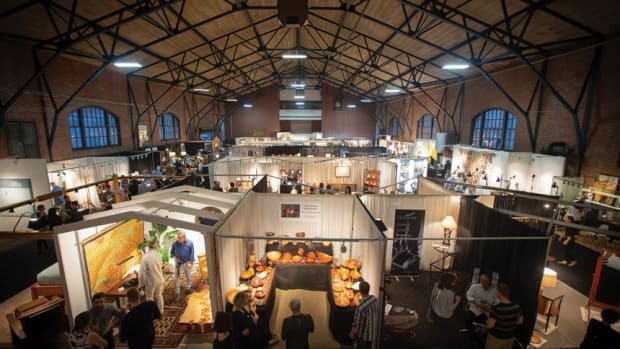 Celebrating its 20th year, the annual Philadelphia Invitational Furniture Show was held April 4-6 at the 23rd Street Armory. Show director Josh Markel said the show was sold out with more than 60 exhibitors. 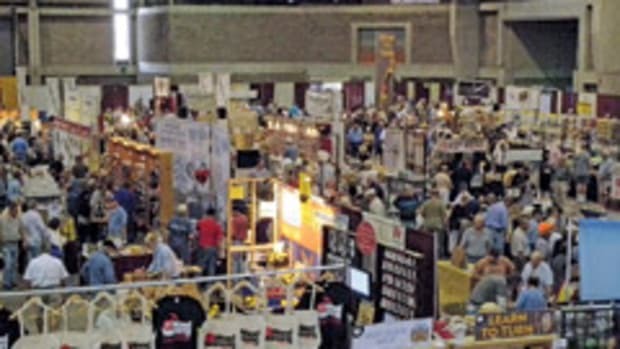 Exhibitors interviewed by Woodshop News expressed mixed rates of sales activity. First-time exhibitor Chris Krauskopf of Classic Woodworking in Louisville, Ky., says he didn’t expect too much going in and appreciated being among so many talented makers. “The venue was very nice and the folks who came seemed really interested in furniture. As for me, I got one table commission and several positive leads that may develop over the summer. Overall the furniture was very high-caliber and showed off the true craftsmanship of many fine furniture makers. As far as how furnishings sales around my booth area went, a few people did quite well while many others did not. Cold, hard economic reality can be brutal at times. I learned a great deal and look forward to it next year,” says Krauskopf. 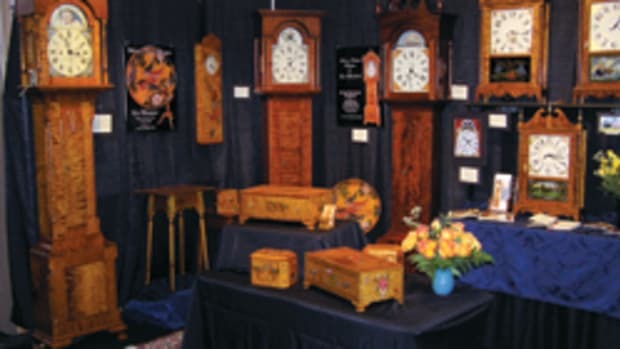 John Landis of John Landis Cabinetworks in Yardley, Pa., who has participated in all but one of the shows, says this year’s show had its highest-quality field of exhibitors. “Our sales were good. The attendees were there to buy, which was nice. The gate was very low. I do wish more people would attend. It is such a high-quality show. If one is looking for furniture, this has to be one of the best to attend. 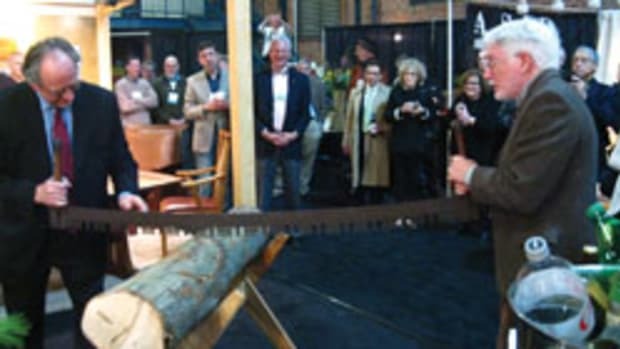 Hopefully going forward into its third decade, word will get out that it is again the premiere furniture show on the East Coast. Advertising is tricky. I’ll be sure to be back next year,” says Landis. 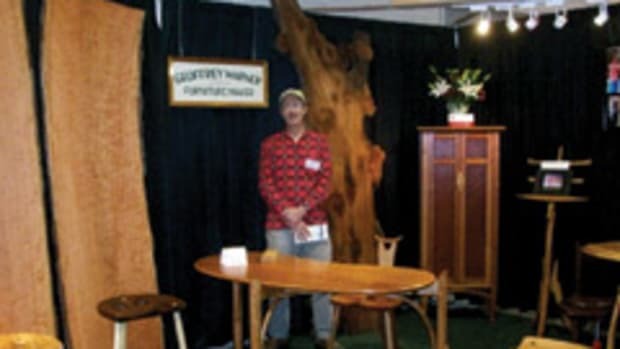 Warren Snow of Snow Woodworks in Marshall, Va., didn’t make out as well as he’d hoped, but commented on the quality of the show. 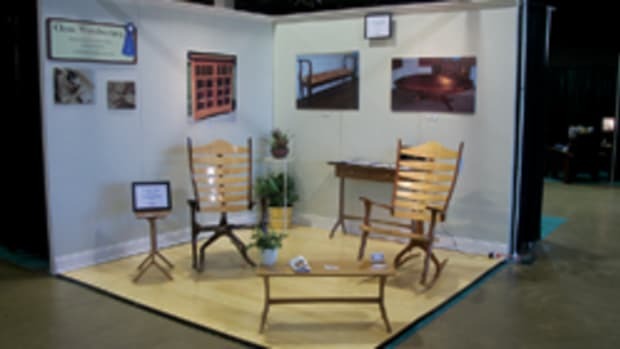 Brad Smith of Bradford Woodworking in Worcester, Pa., is a regular exhibitor who says he did OK at the show and that sales have been consistent for him during the last three years. “This year I sold a coat tree, two chairs and a small cabinet with total sales being $3,500. The show was really strong in terms of the quality of the exhibitors. Our frustration continues to be the inability to draw a bigger audience,” says Smith. 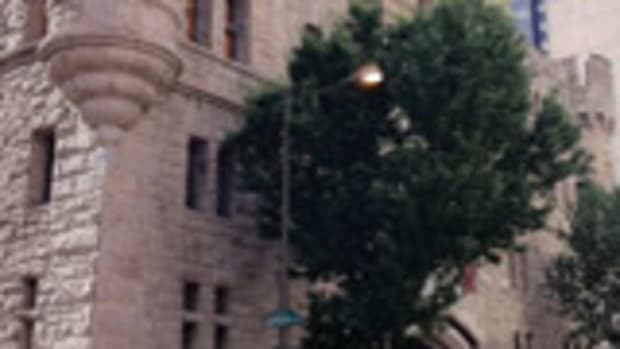 For information about the show, www.philaifs.com. This article originally appeared in the June 2014 issue. 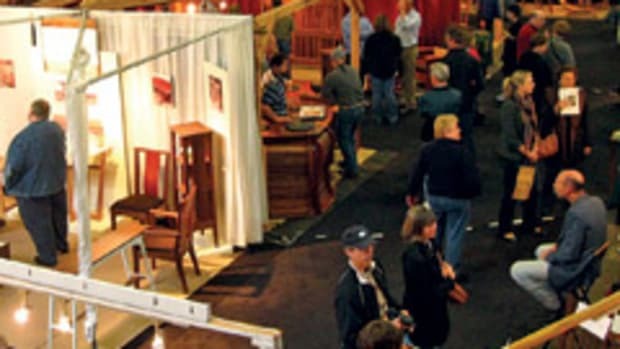 The 24th annual Philadelphia Furniture Show returned to the 23rd St. Armory for a weekend show, Apr. 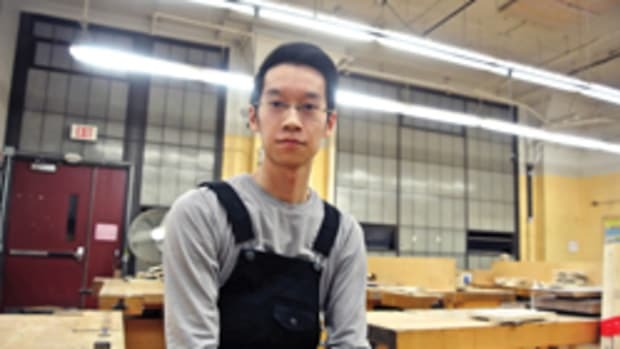 14-15, that featured custom pieces by about 50 woodworkers from across the country.